This time around, we've added a colored accent to the cover of our already-existing business card cases. You'll notice that they look the same, aside from the accent of color across the front of each of them: gray gets accented with black, and white gets accented with gray. 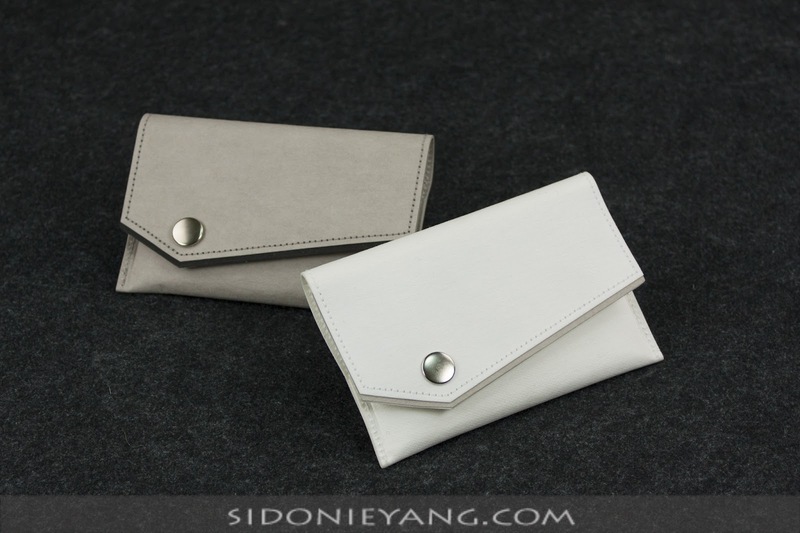 Sidonie likes the white accented with gray the most! In the future, we'll be naming each of our items so it's easier to tell them apart. 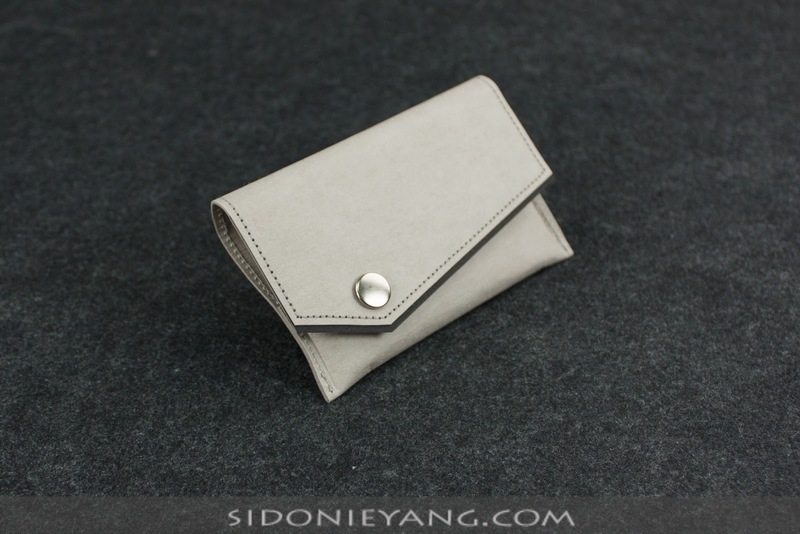 This gray business card case is accented with black and it stands out quite nicely. 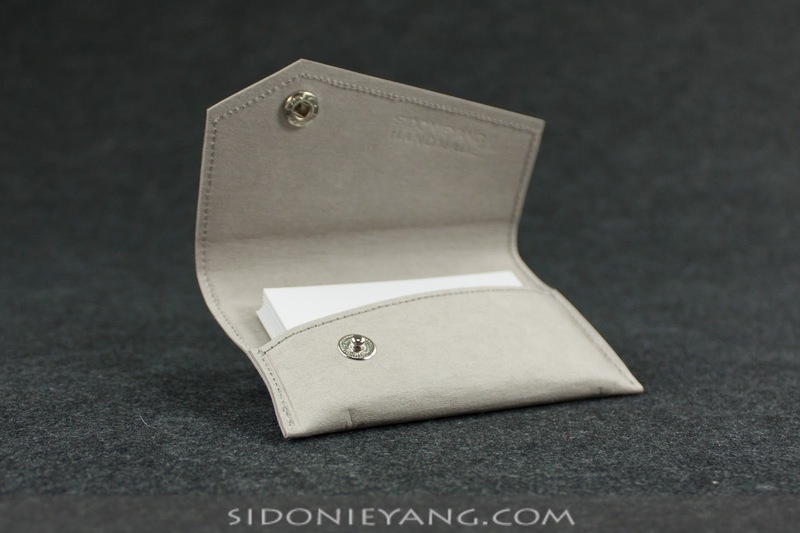 Within, there is one pocket, which could be used for business cards or for credit/debit cards. We've tried it and it can comfortably a stack of business cards 1.5 cm thick... pretty big capacity! 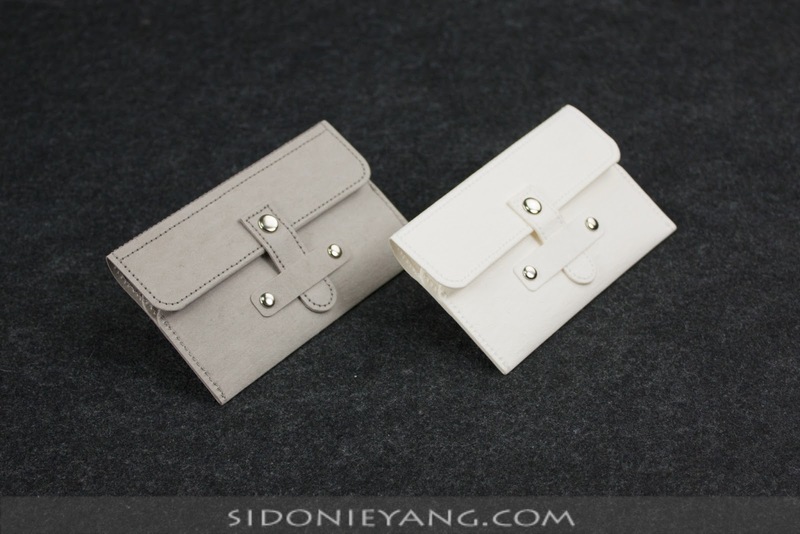 We suppose that the only drawback to this business card case is that there's only one pocket. Many people prefer to have two pockets, so there's one place for your cards (the cards you give out) and one place for the cards you receive. In this case, however, the only way you can separate them is back and front placement. At the end of the day, however, you'll probably be giving out one card for every one you receive, so it'll still work out great! Pictured above is one of our other styles of business card case - the Latch Closure Business Card Case - that features two separate pockets within.